Over the past 20 years, the use of structured methodologies for managing the people side of change has increased dramatically. 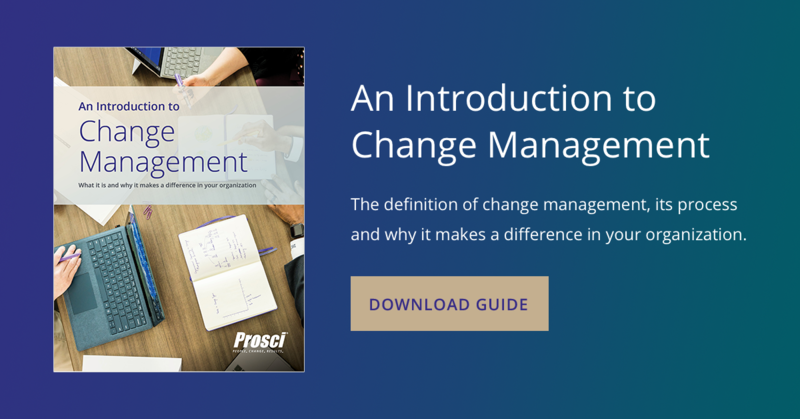 Below are the most frequently asked questions we receive about change management methodologies, including the Prosci methodology. What is the value of using a methodology to manage change? An important point here: A methodology for change management doesn't define or prescribe particular changes. Change management doesn't tell you what changes your organization needs to make. Change management is an overlay; it is applied to changes that are already identified to encourage employees to adopt and utilize those changes. Can I manage the people side of change without a methodology? What are the risks? Certainly, you could introduce a change without using a methodology or addressing the people side of change. Most projects, whether they are using change management or not, will have some elements of a communication plan and a training plan. The problem is this: These communication plans tend to be "telling plans" full of project updates and details, instead of what employees really want to know—namely, why the change is happening and "what's in it for me" (WIIFM). Likewise, training plans in the absence of a change management framework typically do not have the necessary context and foundation to be effective, in particular, a compelling case for why the change is happening and why someone should be engaged. Have you ever been sent to training without understanding why it was important to be there? It feels like a waste of time and can actually demotivate you. Wasting time and energy by "reinventing the wheel"
Some very experienced and expert practitioners may be able to address a change initiative without a structured methodology in place, but the majority of practitioners benefit from having a structured process and set of tools to guide activities. Even experienced practitioners can benefit by having guidelines in place. Does following a methodology make change management just "boxes to check off" of a plan? Absolutely not. The foundation of a solid change management methodology is that individuals are the ones who adopt a change. Change is organic and fluid, and it is a very personal experience. However, we can model it and take actions to encourage and support it. Just because we are applying a methodology—following a process and utilizing tools and templates—doesn't mean we are removing people from the equation. Instead, we are drawing upon research and the experience of others to put ourselves in the best position to succeed. Is designing the solution part of a change management methodology? From our perspective, defining the solution is not part of the change management methodology. Change management, like project management, is a discipline and set of tools applied to a particular change. This means that recognizing a need for change and developing a solution take place in a parallel but different workstream. Prosci's taxonomy for scoping change management shows the distinct workstreams that support successful change and transformation in an organization (read more about the taxonomy). What are other practitioners looking for when selecting a methodology? 1. Previous experience or external advice – Many participants cited their personal experience with a particular methodology as a key factor in selection, as well as advice from external consultants and a methodology's status as an industry standard. 2. Credibility – Methodologies that were well-known and based on a clear, structured and tested approach were favored over newer methodologies. 3. Comparability with the project, company, culture or industry – Participants reported that they were likely to select a methodology if it was especially compatible with an ongoing project or the culture of the industry. They sought a methodology that was compatible with the needs of the organization, the needs of the project, or budgetary requirements. 5. Certified or trained in the methodology – Participants were more likely to select a methodology if resources within the organization were already trained or certificated in that methodology. The degree of familiarity and amount of previous success with the model by practitioners also contributed to the confidence expressed toward the methodology. Practitioners are looking for methodologies that are credible and easy to use. Managing the people side of change is challenging. Although sometimes called the "soft" side of change, in reality, getting employees to adopt a new process or technology, for example, is usually the "harder" side of change. The technical side of change can be complex, but changing employee behaviors is the bigger challenge. This is why practitioners are looking for simple, actionable approaches that deliver results—a methodology that makes sense and can be scaled to meet the particular change at hand without overly complicating the issue. What is meant by individual change management and organizational change management? Prosci's change management methodology is founded on the principle that effective change management requires two perspectives: an individual perspective and an organizational perspective. It is the marriage of individual change management and organizational change management that provides an outcome orientation with the supporting tools and processes to make a change successful. Individual change management is an understanding of and model for how one person successfully makes a change. Prosci's ADKAR Model describes the five building blocks of successful change: Awareness, Desire, Knowledge, Ability, Reinforcement®. Since this results-oriented model outlines the building blocks of successful change, it is also used to guide change management plans, measure progress, and diagnose gaps. Individual change management answers the question: "What are we trying to achieve by applying change management?" Each phase includes activities and tools to support change management application by practitioners. By following the organizational change management process, you create a strategy and full set of plans to move the employees impacted by a change through their own change journey. 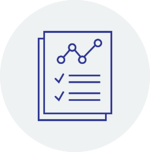 For a deeper discussion of Prosci's methodology, visit our Resource Center. There you will find in-depth articles about our methodology, the ADKAR Model, integrating change management and project management, and roles in change management. 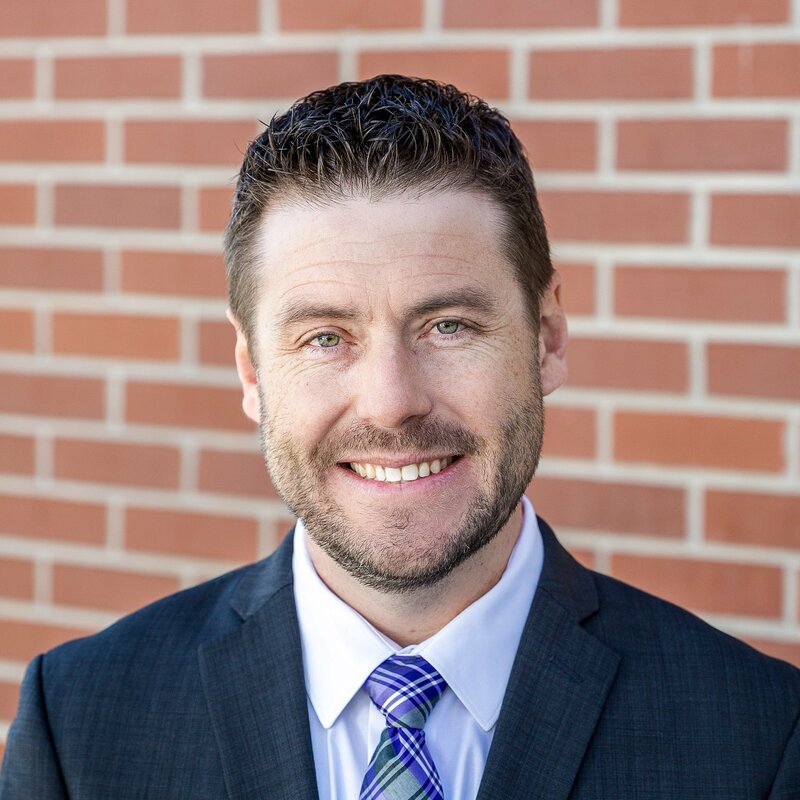 Tim Creasey is Prosci’s Chief Innovation Officer and a globally recognized leader in change management. His work forms the foundation of the largest body of knowledge in the world on managing the people side of change to deliver organizational results.